Naeser MA, Alexander MP, Stiassny-Eder D, Galler V, Hobbs J, Bachman D, Lannin L: Laser Acupuncture in the Treatment of Paralysis in Stroke Patients: A CT Scan Lesion Site Study.American Journal of Acupuncture, 23(1):13-28, 1995. Naeser MA: Acupuncture and Laser Acupuncture in the Treatment of Paralysis in Stroke Patients, Carpal Tunnel Syndrome and Alopecia Areata. Frontier Perspectives. 5(1):8-15, 1996. Naeser MA: Neurological Rehabilitation: Acupuncture and Laser Acupuncture to Treat Paralysis in Stroke and Other Paralytic Conditions and Pain in Carpal Tunnel Syndrome.Paper in Proceedings, National Institutes of Health Consensus Development Conference on Acupuncture sponsored by the Office of Alternative Medicine and the Office of Medical Applications of Research. Bethesda, MD, November 3-5, 1997. pp. 93-109. Branco K and Naeser MA: Carpal tunnel syndrome: Clinical outcome after low-level laser acupuncture, microamps transcutaneous electrical nerve stimulation, and other alternative therapies - an open protocol study. The Journal of Alternative and Complementary Medicine, 5(1): 5-26, 1999. Naeser MA & Deuel SK: Review of Second Congress, World Association for Laser Therapy Meeting (WALT), September 2-5, 1998, Kansas City, MO, U.S.A. The Journal of Alternative and Complementary Medicine 55(2):177-180, 1999. About Margaret A. Naeser, Ph.D., Lic. Ac.Margaret A. Naeser received her B.A. from Smith College, and her Ph.D. degree in Linguistics from the University of Wisconsin (1970). She is a Research Professor of Neurology, Boston University School of Medicine, where she conducts rehabilitation research with stroke and CTS patients. 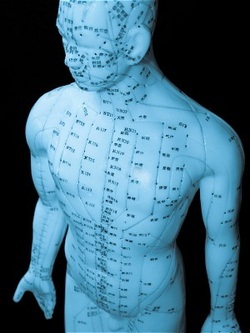 She is a graduate of the New England School of Acupuncture and is a Licensed Acupuncturist in Massachusetts. In 1985, she was invited by the Shanghai Medical University to exchange research information. While in China, she studied the use of acupuncture and laser acupuncture in the treatment of paralysis in stroke patients. She has published four papers on this research, and two books: Outline Guide to Chinese Herbal Patent Medicines in Pill Form - with Sample Pictures of the Boxes, and Laser Acupuncture - An Introductory Textbook for the Treatment of Pain, Paralysis, Spasticity and Other Disorders.